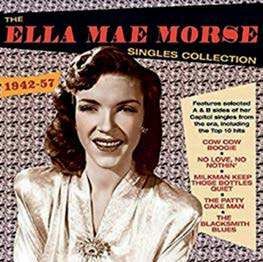 Ella Mae Morse started in the 40s as a big band chanteuse, and her career continued into the birth of rock’n’roll. 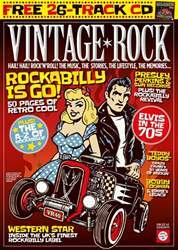 Her material ranged from torch ballads to rocking rhythm’n’blues, and she charted with everything from the novelty The Blacksmith Blues to 40 Cups Of Coffee, more associated with Bill Haley these days. There’s a whopping 60 tracks across two CDs here, comprehensive liner notes with bio details, chart positions and namechecks for the top producers and arrangers like Billy May and Nelson Riddle that her Capitol label paired with her. So, top-notch productions, fine vocals, and unusual versions of The Drifters’ Money Honey, and Lovey Dovey – cut four years before Clyde McPhatter had a hit with it – make for a great compilation. She was a fine looking woman with a great voice and her legacy poses a couple of questions, one current, and one lost in the mists of time. In view of her continued success, why did she quit recording in 1957? And the current mystery is why, if you’re going to use four point type to list the tracks on the cover, use orange type on a black background to make the listing even more illegible? That’s why we’ve deducted one star.